Winterwell-on-the-Fosse is a fictitious small country market town set in the Cotswolds during the early 1950s, it is served by a rural branch line. Winterwell actually exists as a large farmstead near Northleach, it is surrounded by numerous cottages and many stone built buildings. The economy is very much agricultural, as one would expect, based on this rural background. It is envisaged that this branch line, although now much rationalised once formed part of the Midland and South Western Junction Railway. To this end it would have been possible to see both locomotives and rolling stock from the Great Western Railway, London Midland Scottish and Southern railways. 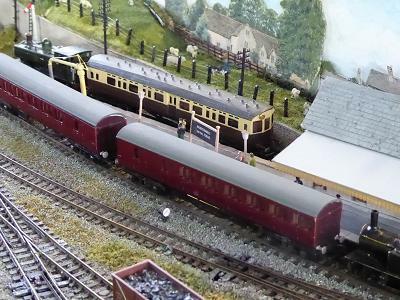 It is a 3mm scale layout with the aim to give a flavour of the Cotswolds. Most of the buildings are scratch built and based on actual buildings within this area. The brewery complex is a kit which has been altered and reduced to fit this scale with other buildings added to complete the typical scene. 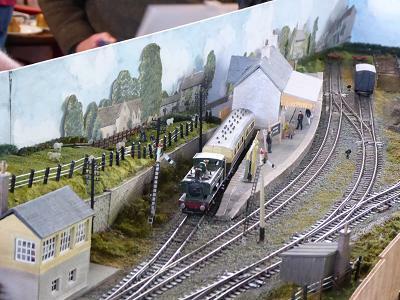 The physical dimensions of the layout are 13 feet by 2 feet and shows a much rationalised small station complex, disused junction and the branch terminus.